Get outdoors at Koala Conservation Centre and Trin Warren Tam-boore. Appreciate the collections at Shrine of Remembrance and Melbourne Museum. Get out of town with these interesting Melbourne side-trips: The Great Ocean Road (in Torquay) and Phillip Island Wildlife Park (in Cowes). Spend the 22nd (Mon) wandering through the wild on a nature and wildlife tour. There's still lots to do: admire nature's wide array of creatures at Melbourne Zoo, take in panoramic vistas at Eureka Skydeck 88, admire the masterpieces at National Gallery of Victoria, and admire the landmark architecture of Royal Exhibition Building. 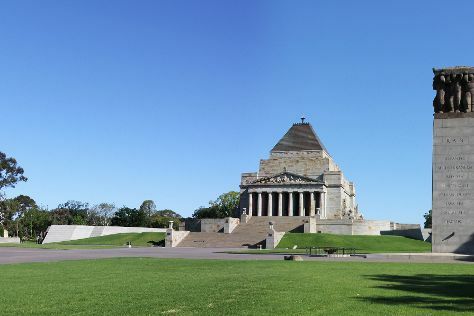 For other places to visit, reviews, where to stay, and tourist information, use the Melbourne online itinerary planner . If you are flying in from New Zealand, the closest major airport is Melbourne International Airport. Expect a daytime high around 23°C in April, and nighttime lows around 11°C. Finish your sightseeing early on the 25th (Thu) to allow enough time to travel back home.